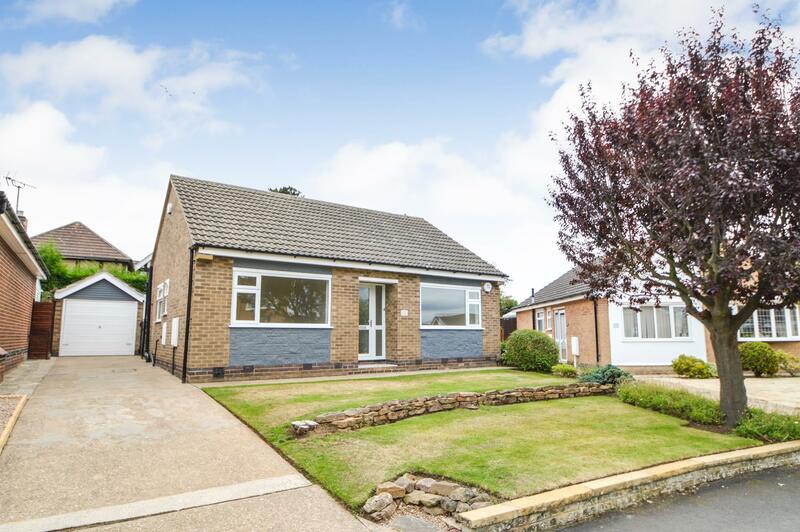 Benjamins welcomes this recently refurbished two bedroom detached bungalow to the market. This property is situated in the well-established and popular residential village of Keyworth, with convenient location within walking distance to the local amenities including, shops, schools, sports facilities and public transport services. Having a range of white gloss wall and base units, roll top work surfaces, composite kitchen sink with chrome mixer tap, panel splash backs, space for washing machine, electric oven, ceramic hob with extractor fan over, integrated fridge feezer, radiator, UPVC double glazed window and door onto the rear garden. Large recently fitted double glazed sliding patio door onto the rear garden, small double glazed bay window to the side aspect, electric fire, radiator, television point, central light fitting, power sockets, carpeted. UPVC double glazed window to the front aspect, radiator, ceiling light fitting, power sockets, carpeted. 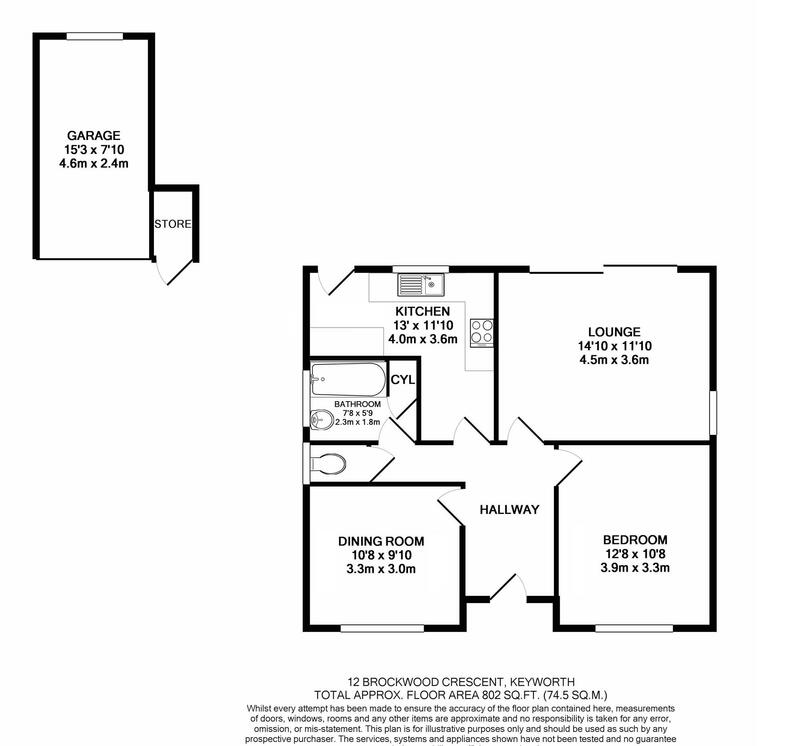 Bathroom with fully tiled walls, panelled bath with electric shower, pedestal wash basin, radiator, airing cupboard, frosted window to the side of the property. Separate toilet, radiator and window to side aspect. The front garden is partly paved with driveway leading to the garage, flowerbeds planted with mature shrubs, plants and small tree. Also small brick wall to the front boundary. Fully enclosed rear garden that is not overlooked, paved patio area, planted flowerbeds, shrubs, fruit trees. Gated access to the side of the property to the garage, store and driveway. With up and over door, mounted store cupboards, electric light and power.